A kitchen elevation example, describing a kitchen's layout to help designers improve the way kitchen uses its available space. 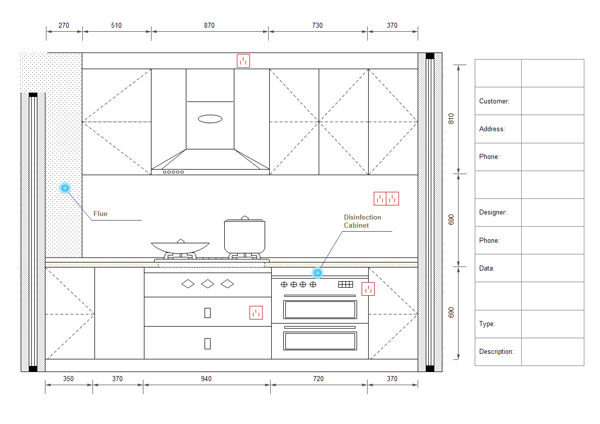 The above kitchen plan example is drawn with the Edraw Max software. There are more than 6000 free vector symbols available. Check out kitchen layout tool or kitchen floor palnner here. Learn to Design Your Dream Kitchen here. The following examples can be reused in the Edraw software. They are grouped in topical sets as Floor Plan templates.